My space for sharing stories that I write (real and made up), my thoughts, musings, reflections and happenings. I hope you had a lovely Christmas break, spending time with family and friends, eating, drinking, celebrating! Did you get a visit from Santa? As the year 2016 draws to a close, it's normal for us to look back and reflect on how the past 12 months have been. Did we make progress with our goals? Did we achieve anything significant? Did we grow in our personal lives? Did we learn some important lessons? And are we grateful for everything we received, and hopeful for the coming year? I hope you can draw up a list of things that you are grateful for, and things that you're definitely looking forward to in the new year. My 2016 has definitely been eventful. Apart from world events (Brexit, US Elections, high profile celebrity deaths, economic uncertainties, etc), there has been a lot going on in my personal life and in my work. I have grown and evolved, and so has my business. My family and I took the risk of relocating to Lagos, and that meant I had to embrace some changes, and I'm glad I did. It meant that I had to be flexible, I had to be adaptable, and I had to be open to new opportunities that I couldn't have expected before. But that's a good thing. Like my mentors say, nothing good happens by staying in your comfort zone. You have to jump! 1) At the beginning of 2016, I wanted to write and publish a new collection of Flash Fiction. I have actually been working on that, but it's taken a slightly different turn. I submitted some of the stories to Brittle Paper, and we have decided to wait until January to release them. 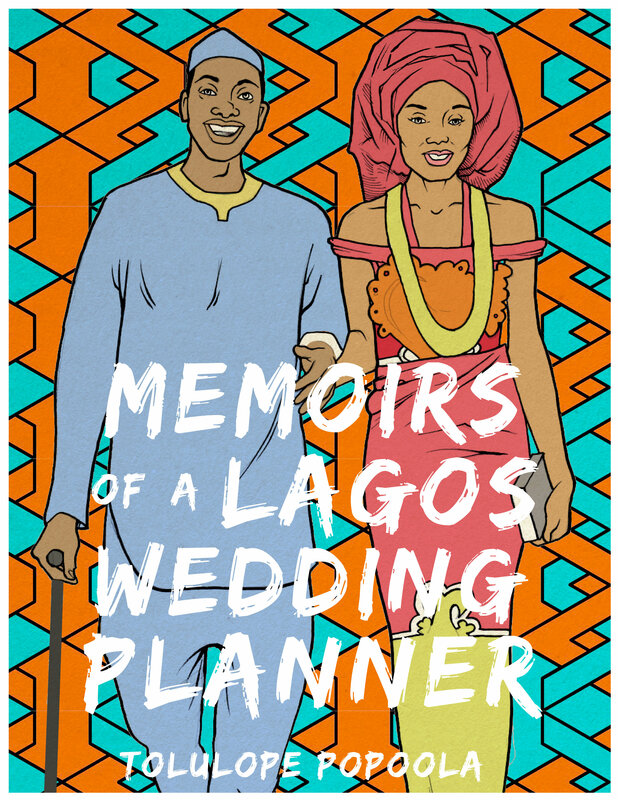 It's going to be an eight-week flash fiction series, titled "Memoirs of a Lagos Wedding Planner" and it's going to be awesome! So stay tuned for that - the posts will be published on Brittlepaper.com every Friday, and then when the series is finished, there'll be an ebook with more of the stories. I'll definitely keep you posted. 2) I launched a set of Creative Writing Courses in 2016, targeted at different groups. There's my 6-Week Creative Writing Course for beginners (both classroom based and self-study) with a new session starting in February 2017, there's a Creative Writing Course for Teenagers which I will be taking to secondary schools as an After-School Club activity, and there's a Creative Writing Club for Kids that I started running on Saturdays, the sessions will resume on the 14th of January. There are plans for a virtual club as well, for kids who are outside Lagos. 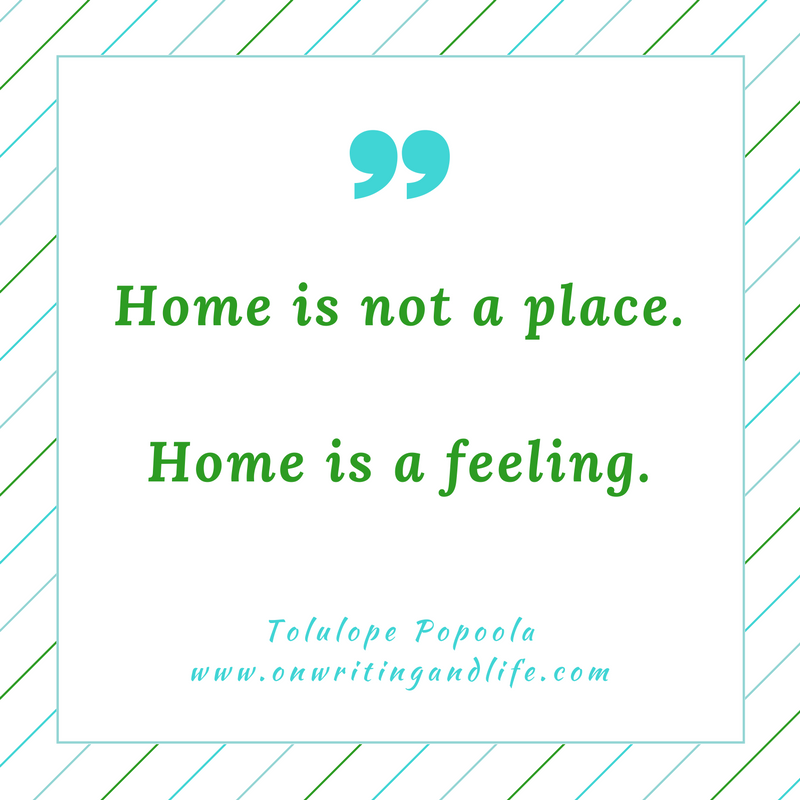 Here's a testimonial that I received from one of the attendees of my Creative Writing Course: "Tolu is very knowledgeable about the creative writing process. If you do not know where and how to start your writing. I recommend you pass to through her program." 3) In March, I set up the free 100-Day Novel Writing Challenge which was great fun, and it helped many of the participants to get into the habit of committed writing for 100 days! Many people were able to make progress with their works-in-progress, and one author has even published the book she wrote during the challenge! I'm going to run the challenge again in March 2017, so if you're interested, sign up and get ready! 4) I have tweaked all my Coaching Programmes for Aspiring Authors based on the feedback I've received, and made them more impactful. Check out 12 Weeks to Your First Draft if you want to write a novel, Aspiring to Actual Author if you want to write non-fiction, and Idea to Published Book if you want to get your book written and published within six months. 5) I made some changes to my Publishing Services too. This year, I created and launched The Self-Publishing Course, and I've streamlined the Accomplish Press Self-Publishing Packages, I removed some of the services that were expensive and unnecessary, so that I could focus on the things that actually help and bring value to my clients during the publishing process. 6) I've put my Self-Study courses on Teachable. You can access the Creative Writing Course and Self-Publishing Course on my Teachable site here. 7) I created my Facebook writing community and we now have over 500 members! You're of course welcome to join us, if you haven't already. 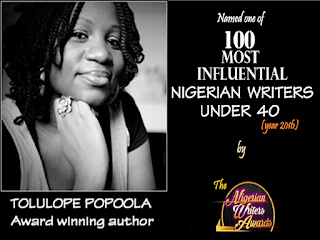 8) I was recently notified that I have been named as one of 100 Most Influential Nigerian Writers under 40 by the Nigerian Writers Awards for the year 2016. I'm so humbled and excited! You can read about the award here, as well as discover who the other writers are. That's a wrap! Now, looking forward to 2017, no New Year Resolutions here, but I have lots of goals and things lined up to achieve. I know it may sound like a cliche, but I'm grateful for all of you in my community. I'm grateful that you found me, and you've stuck with me for this long. I'm thankful for you allowing me to write to you, and communicate with you. I'm glad to be of service to you, helping you to accomplish your writing and publishing dreams. I'm grateful for the opportunity I have to make an impact in your lives, no matter how little. And I'm looking forward to celebrating more of your successes in 2017! Thank you and Happy New Year in advance! Did you know? Apparently, your subconscious mind is 30,000 times more powerful than your conscious mind. I've been doing a lot of non-fiction reading in the past few months. I wanted to read more personal development books, books on successful entrepreneurship, books on living a life of purpose, books on growth, positive mindset and so on. 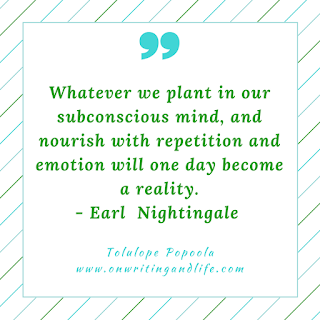 In my reading, I stumbled upon some concepts around harnessing the power of the subconscious mind. These concepts are not new, in fact they've existed since the beginning of time, but I was reading them this time, with the intention to apply these principles to my life, especially when it comes to setting my big goals and putting things in place to achieve them. I've also learned about the power of my thoughts. Thoughts create things. What you think about will determine your actions, and your actions will bring you the results you've created. There is no special technique to activate your subconscious mind if you have a clear goal and a burning desire to achieve the goal. The more intensely we feel about an idea or a goal, the more assuredly the idea, buried deep in our subconscious, will direct us along the path to its fulfillment. I was reminded of this phenomenon just this morning. A few days ago, I was chatting with a friend who wants to write a novel. We've worked together in the past, and we enjoyed writing our blog series together, so she was thinking about taking the character (Funmi) and writing her complete story. Whilst we were chatting, I mentioned that I needed to start writing Temmy's story too. I decided that I will finish working on the Creative Writing Course in December, and I'll restart my 100-Day Novel Writing Challenge in January, which is the time-frame I'll use to complete the novel, at least the first or second draft. She said it was a good idea, and she would think about joining me in the 100 day challenge so that we can motivate each other. After the discussion with my friend, I made a note of my schedule for the next few months, and moved on to do other things. And then something interesting happened. Last night, I had a dream about Temmy's story, specifically her love interest, and the first chapter of their story. A very detailed, vivid dream. It was like wow! While I was doing other things during the day, my subconscious mind had gone to work, putting some ideas together, and while I was sleeping, the ideas just came to me, almost ready to go. I'm sure a lot of writers can relate to this. Sometimes, ideas just "come" to you when you're least expecting them; perhaps when you're in the shower, when you're about to fall asleep, when you're doing the dishes. Sometimes, you've been sweating over a particularly knotty bit of your story for days or weeks with no success, but when you step away from it and take a break to focus on something else, suddenly you see a way out. I think that's your subconscious doing its work in the background, solving your dilemma and giving you a solution. Well, for me, this is great! I'm excited about writing this next book now, and I can't wait to start putting my ideas together. I'm also going to continue working on harnessing the power of my subconscious mind, so that I can have more exciting breakthroughs like this. That would be awesome, wouldn't it? Have you ever had a similar experience? 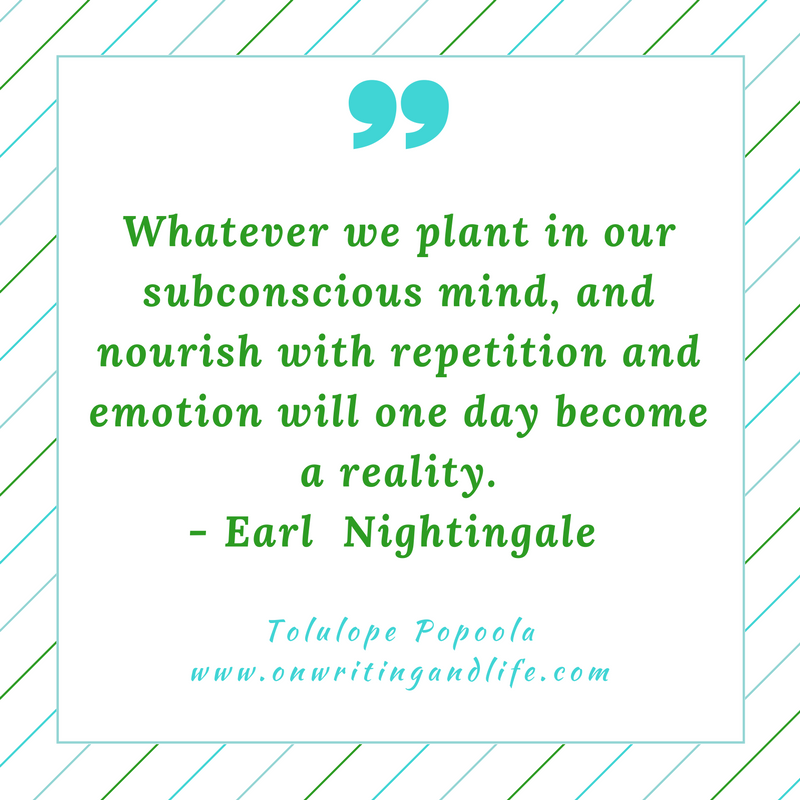 Do you engage your subconscious mind to help you with making decisions or tackling a problem? Let me know! As always, stay blessed and favoured! But somehow, I still felt like I was in transition. I was neither here nor there. Like I was in Nigeria, but not really home. I guess that was because I was born in Lagos, and that's where I grew up until I was 17. Whenever we had a reason to visit Lagos, I always felt like, "okay, this is the Nigeria I'm still missing." because all my previous connections to Nigeria are in Lagos! My parents, my extended family, my childhood friends, school mates, etc. In June, our time in Port Harcourt was coming to an end, and we had two choices: return to the UK, or move to Lagos if we want to continue with the Nigerian experiment. I have to say, I was really torn. I considered returning to the UK. At least, I knew what to expect, not just for myself but also for the children. But then I considered moving to Lagos too. I sort of guessed that I would have a different feeling about staying in Nigeria if I moved to Lagos. So hubby and I decided to give it a try. So, long story short, we are now in Lagos! We did go to the UK for a holiday in the summer (where I had an interesting and annoying episode of chicken pox, among other fun things). But we're back now and it seems we're going to be here for a while. However, I have to say that in spite of the upheavals, I'm actually feeling positive about moving to Lagos. I'm already enjoying a more interesting social life, and seeing more work opportunities coming my way. I'm able to hang out with friends, and visit my family often. There are also lots of great cultural, literary and arts events that take place in Lagos so I'll definitely be taking advantage of those. The children also have a lot more options for leisure and play so... win-win for everyone. I hope I'll be able to connect with some online friends too. If you're based in Lagos, say hi! Maybe I'll come out of my cyber-shell a bit more and show up in a few places. I'm already excited about being in Lagos over the Christmas and New Year period. It's going to be so much fun. With regards to my coaching and publishing work, that's also going well. In fact, I'm hosting a Creative Writing Class in November for writers who want to write a novel. This will be my first in-person training event. I'm excited and a bit nervous! But I'm confident that I know my stuff, and I'm going to give a lot of great information to the participants and maybe even learn a new thing or two. I'm also working on a new series of flash fiction stories that will be published soon, so stay tuned! Till next time, remain blessed and favoured! You have to decide that the time to do it is NOW! I've created a challenge for you (and me) to get us writing a novel in a short time. It's called the 100-Day Novel Writing Challenge and it's starting on the 15th of March. I set up this challenge because I get a lot of emails from writers who want to write a novel, but they feel like they don't have the time or the structure or the accountability and support systems in place. So this challenge will give you exactly that. It will also give you a kick up the behind, when you see that it is possible to start and commit to a project when you have a deadline fast approaching. So come on! What are you waiting for? If you are serious about writing a novel (and not just saying it because it makes you sound cool), then join us! I can't wait to start, it's going to be so much fun! Oh, and by the way it's totally FREE! Last year, I approached Joanna Penn of The Creative Penn to ask her if I could be featured on her podcast. I was very nervous to ask, because I know she features really awesome authors who are well established in their writing careers and have achieved both celebrity and best-seller status. But I decided to pluck up the courage - after all, what are the likely outcomes? She might say "No" and I will move on and nobody will know, or she might say "Yes" and I will actually get featured! Well, to cut the long story short, she said yes! We had the interview a couple of weeks ago and it has now been published! Click over here to read/listen to it on her blog, or watch the YouTube video below. Feel free to comment and share! There's a lesson here, somewhere. Oh, here it is - don't let fear or doubts stop you from trying something. You never know if the outcome will be positive until you try! Hope you are all doing great. I've been working on a few projects for the coaching side of my business over at Accomplish Press. I put our research questions to my friends on Facebook and asked what kind of problems most new writers face, especially when it comes to writing a novel for the first time. Most people responded with things like: procrastination, self-doubt, not knowing where to begin, etc. I also asked what issues new writers who want to publish are facing. And with my own experience, I know that there are many questions and mistakes that new self-publishing authors go through, that need addressing. So, with that information, I set out to create some solutions. I wrote an ebook titled "Ten Tips to Beat Procrastination for Writers" and a second one titled "15 Mistakes Self-Publishing Writers Make (And How to Avoid Them". Both ebooks are 0.99p each on Amazon, or you can get them both for free, if you sign up to my mailing list here. But I'm really excited about my new mini-course that I've put together for aspiring authors, especially novelists. If you're a writer who wants to write a novel, but it seems like it's too overwhelming, or too daunting, then this course is perfect for you. It's called "5 Days to Kickstart Your Novel" and that's exactly what it will help you do. I've structured the contents of the course to give you a step by step guide to laying the foundation for your novel so that you can start writing it in just 5 days! The course includes audio recordings and worksheets so that you can start taking action on what you're learning right away. If this sounds interesting to you so far, head over to the course page HERE to read more. I'm also working to put my new 12-Week coaching programme together. It's going to be really great and packed with value for aspiring writers. I can't wait until it is ready to be unveiled to the world. Keep a look out for it. As the year seems to be rushing to an end, I'm already in reflective mode. 2015 has definitely been an interesting year, and it has marked a turning point in my life in many ways. In January, I didn't know what to expect, I was just open to a new adventure and here I am, alive, happy, healthy and making progress with my work. I'm really grateful to God for making it happen. What are you grateful for in 2015? I've been trying to write this post for two months. Every time I try to compose something, my head goes blank, and a million and one other things suddenly seem more interesting. So let's just summarize the stories. I've been in Nigeria for four months. The year 2015 has already been interesting so far and my move back to Nigeria has gone better than I expected. Thankfully, we are settled in now, and we're all doing well. There are some things I've managed to adapt to, and some things I haven't adjusted to yet. Some things still make me pause, and reflect on the idea that I'm in a different place. Er, electricity supply and mosquitoes, anyone? Crazy impatient driving and traffic? I do have less culture shock now, sometimes I watch Nollywood movies to familiarise myself with the way most Nigerians think, and why we act the way we do. Once in a while, I still do mental currency conversions when I'm out shopping. I think I need to stop doing that cos it just makes me feel cheated a lot of the time. It's also been interesting watching my daughter adapt to living in Nigeria. She no longer cries when the electricity goes off, she just grumbles and moves on to something else. Hmmm. On the other hand, there are some things I'm happy not to have to deal with. Going to my daughter's school now I'm not worried about the fact that she's a black child in a predominantly white school, and all the issues that could arise from that. I'm happy that there's no political correctness associated with her participation in normal activities because she is "different"due to the colour of her skin or her ethnic background. We've just witnessed the general elections here in Nigeria, and after the months of build-up, I'm so glad they're over now. I couldn't vote or anything, so I just listened and observed. And boy! My eyes and ears are full. Well, we have a new president-elect and a new ruling party, so it will be up to them to fulfil the promise of "Change" that they chorused throughout their campaigns. I'll adopt a wait-and-see stance. Then we'll start the whole process again in about four years' time. What I would really like to see next time around, is a female presidential candidate that I can really believe in. In other news, I've been keeping busy with church-hunting (still haven't found one to settle into), building a whole new social life (em...em..) and work! Yay for Accomplish Press and all my writing projects keeping me busy. 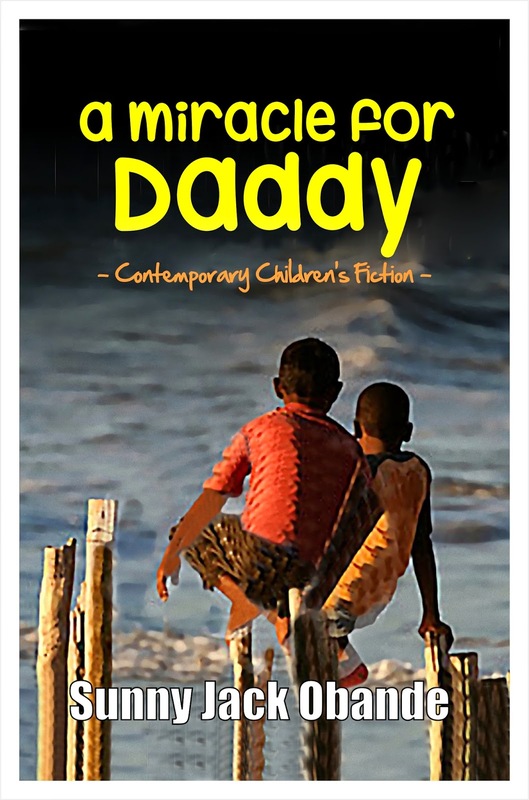 We've just published a children's book, "A Miracle for Daddy" by Sunny Jack Obande, (see the cover). It's a great book for 5 - 12 year-olds and it is available in both ebook and paperback formats. You can find out more about the book and purchase a copy from most online bookstores including Amazon. I would love to read your comments on the film. Thanks again for dropping by, and God bless! It's almost the end of 2014, and like many people I'm looking back on the past year and making plans for the coming one. But with one major difference.... I'll be starting out 2015 by leaving the UK and moving back to Nigeria, after more than fourteen years away - if you don't count those short visits back. Plans changed and now I'm going back! I rediscovered what it means to make a commitment and have to follow it through. That means I finally decided to stop procrastinating and started packing my bags. It still feels a bit weird and a bit scary to think that I'll be saying goodbye to the UK in a few days' time and returning to Nigeria. 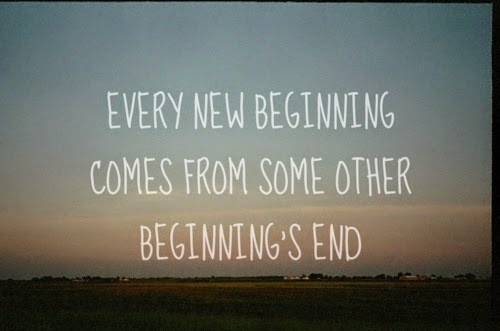 It almost feels like going back to my past, but finding that I've changed while the past has remained the same. I left Nigeria as a young, awkward, shy teenager just finished my A'Levels and about to start an Undergraduate course. That journey began sometime in September 2000. Many years later, I'm a very different person, with a different outlook in life. I have to say, that my time in the UK has been a very productive one. I've been very blessed to have the experiences I've had, the husband and children I'm returning with, the education I have absorbed, the exposure to different cultures, meeting amazing people and making wonderful friends, the chance to rediscover my gifts and turn them into a career that I'm passionate about, the places I've been able to explore, and so much more. I'm very thankful to God for these blessings, and I'm reminded that He who brought me thus far to this chapter in my life, is more than able to take me through the next chapter and all that is coming next. 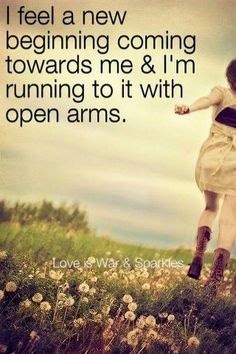 I just have to trust Him and lean on Him completely. relocated back to Nigeria have told me that the best thing is to be ready both mentally and emotionally. And to forget everything you know about living abroad so that you can adjust back to Nigerian settings faster. I wish you all a very blessed year in 2015. I know there may be good days and not so good days, there will be happy days and frustrating days, as such is life. But I wish you lots of smiles, laughter, adventures, celebrations, success and good health to enjoy it all. The next time I blog again, it will be from my new location. 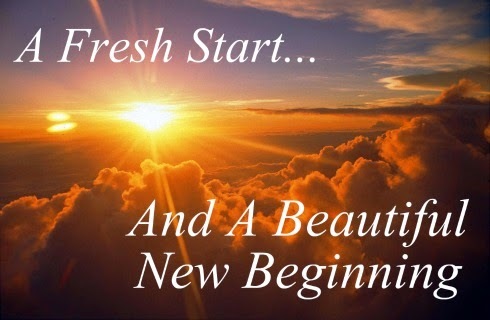 Till then, remain blessed and favoured! Compliments of the Season to all. Hope you had a lovely Christmas and you're looking forward to a wonderful New Year in 2015. As promised, we now have a video showing the highlights of the discussions, readings, spoken word performances and other happenings at the African Literary Evening. I think it is a lovely summary of the event. I also have a video recording of my reading two flash fiction stories. It's the first time I've recorded a reading and it feels very weird to watch myself. Hope you enjoy both videos. Please feel free to comment and share. Thank you. Before then I had written many short stories but just couldn’t bring myself to write anything longer. It was like my brain was in permanent short story and sometimes even, flash fiction, mode. So I accepted the self-imposed challenge. 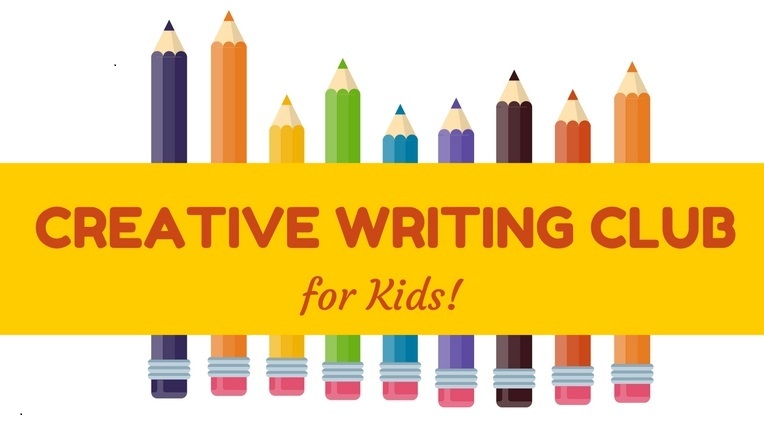 Write a novel! Huh… okay a novella. Great! Leggo! And I wrote. And I wrote. And frankly, time flew by and I was done (technically) before I knew it. So that wasn’t hard. I guess because I already had the story in me. It’s a theme that is close to my heart and it was just a no-brainer that I would explore it as my first book. So at the end of 2011, the book was technically written. No. I didn’t do any of that. Why? I don’t know. Maybe life happened and I just got busy with other things. Maybe I was afraid. In any case the book lay buried in my hard drive for three more years. And for those three years I fought the battle of the mind, trying to answer the question; Am I a writer? I had written a book. Imperfect or not, it had a beginning, a middle and an end! But I still couldn't move forward. Years later I had to accept what my problem was. I. Was. Afraid. Of. Mediocrity. I don’t know about you but I would rather do nothing than do something… bleh. And that was my problem. I was afraid to miss the mark because I thought if I did I’d never work up the courage to try again. Oh, creative person. Are you like me? That may explain your unfinished painting, or the half written book, or the self-published novel on amazon you have refused to actively promote, or the song demo no one has heard, or the floor design you have kept away from human eyes for as long as you can remember. You’re in inertia. Wake up! It doesn’t matter if it’s so good or needs more work. What matters is that you did it. You! Yes, you. You published the book. You released the song. You promoted your work. You submitted your design. You stood behind your own work. Then you get to do the next. And then the next. And if you don’t give up, that little girl will read your book, and sigh, and pick up her own pen. That’s the way of the world. Author Bio: Remi Roy is a writer and author. She is currently finishing up her Master’s Degree in Emerging Media and Communication from the University of Texas at Dallas. In the past she has worked as a Magazine Editor and written for several magazines and online platforms. Her first book, Ms. 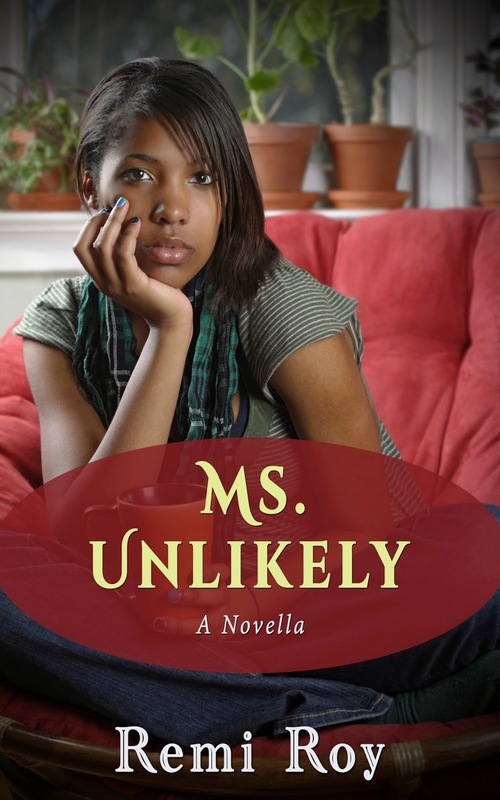 Unlikely, is the story of a young woman’s search for meaning, fulfillment and love. Visit http://msunlikely.weebly.com for more information. Hello everyone! Hope you had a lovely weekend. As promised, here are some of the photos from the African Literary Event that was held on the 8th of November @ The Proud Archivist in London. Enjoy and feel free to share or comment. Last Saturday Accomplish Press and BlackandOutspoken hosted our first "African Literary Evening" @ The Proud Archivist in London. It was a great event, as we had in attendance: writers, readers, journalists, publishers, poets, bookshop owners, members of the press and people who love writing and literature, especially those who have an interest in promoting African literature to the world. We had two panels discussing issues that are relevant to writers of African descent, based in the UK. The first panel was coordinated by Tundun Adeyemo and consisted of: Kemi Ogunniyi, Nuzo Onoh, Irenosen Okojie, Amanda Epe and Kiru Taye. They discussed topics regarding Genres, Reaching an Audience, and The power of Blogging as a means of building an author platform. The second panel was coordinated by me, Tolulope Popoola, and consisted of: Sade Adeniran, Abidemi Sanusi, Abimbola Dare and Ola Nubi. We discussed issues such as Going beyond Print to tell our stories, New and different routes to Publishing, and Making it as a full-time writer. The panel discussions were interactive with the audience, and we had great responses, interesting questions, thoughtful contributions and many useful suggestions about the way forward in tackling some of theses issues. In particular, many people in the audience talked about a shortage of good books for African children and Young Adults, featuring African characters, morals and storylines that reflect our background. This is something that Accomplish Press is passionate about, and we will be doing something in the near future to address this gap in the market. We're already starting a new campaign titled "Get Young People Reading". Watch out for more announcements about this programme very soon. 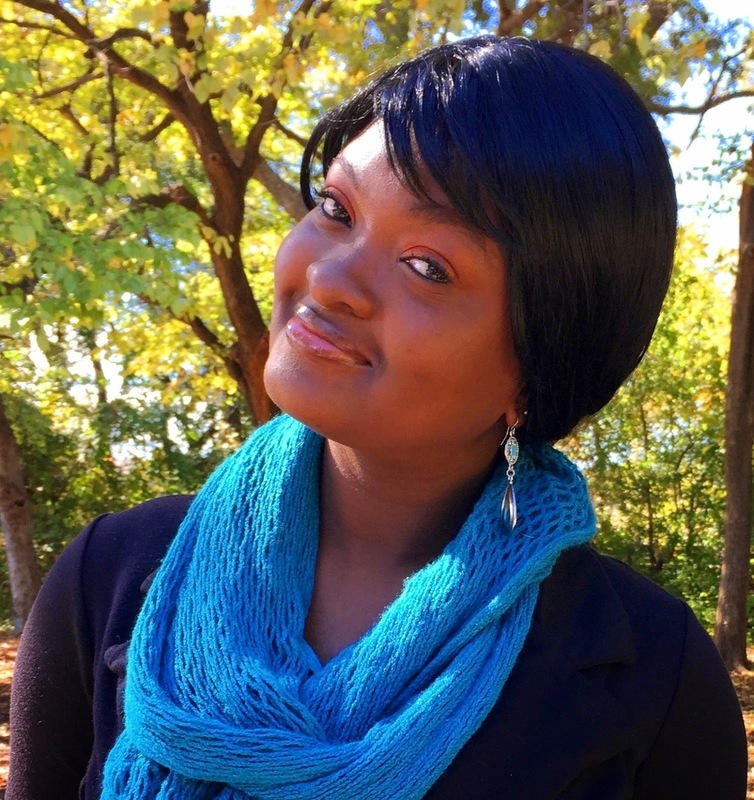 Ola Nubi read an excerpt from her forthcoming book: "Love's Persuasion". It is a romance story about characters based in Nigeria. It will be published next month by Ankara Press. Theresa Lola, a spoken word artist, performed two of her poems. One was dedicated to the girls of Chibok who were kidnapped so many months ago, and the other was a deep reflection on the power of womanhood. Everyone in attendance really enjoyed her performance. Sade Adeniran read a short story, one of the stories from her collection in the Sade's World Podcasts. It was a story that reflected on a character's reaction to being fired from her job on the first working day of the new year. Tundun Adeyemo read a poem from her collection, "The Immigrant" which described the farewell moments at Murtala Mohammed Airport as a character was about to leave Nigeria to study in England. And I read two of my favourite flash fiction stories, one from the collection titled "Fertile Imagination" and another one published by Brittle Paper titled "The Alibi". I enjoyed reading the stories and I particularly liked the response I got from the audience at the end. The evening ended with a networking session over drinks, book sales and signings. We would like to say a very sincere Thank You to everyone who made this event possible. To the panel, the guests, friends who helped in really practical ways, to Battabox, Nigerian Watch, Mr Babatunde David Adetoye, the staff at The Proud Archivist, AUK Radio and many others. We really appreciate your help and support. We intend to host another event like this very soon, we'll keep you posted! Christopher Ejugbo - Do Africans Read? I'm still waiting for the feedback from Nigerian Watch, when I get it, I'll update this post. I'll also upload more photos and videos as they become available. Accomplish Press in conjunction with Femy and Remy Ltd and Nigerian Writers, presents an evening of reading, conversation and inspiration with the best of new generation African Writers. The event will be a mixture of literature, poetry and spoken word performances, as well as a panel to discuss issues relevant to writers in the UK. Featuring: A panel of African Writers, Publishers, Journalists, Poets and Book Bloggers. •Is it possible to make a living as a writer? •The future of publishing in the UK: is it traditional publishing, self-publishing and collaborative publishing or hybrid publishing? •Who is our audience? Our community or beyond? Adura Ojo - she will be reading from her newly published collection of poems, “Life is a Woman Breaking Eggs”. 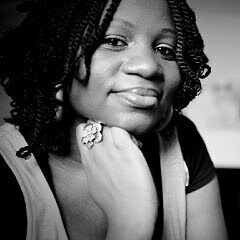 Tolulope Popoola - she will be reading from her book as well as a couple of flash fiction stories. There will be a variety of books for sale, and an opportunity to network and chat with the panel and other guests informally over snacks and drinks in the bar afterwards. It's been a while. I've been working, travelling, juggling motherhood with everything else on my plate, so it does happen that updating my blog takes a back seat sometimes. But I do miss having a journal, and I want to reignite that small but important aspect of my life. Actually, what I really miss, is writing in a diary, with a pen and having hours of time to myself to just scribble down my thoughts uninterrupted. But in this stage of life I'm in, time is such a luxury, so I'll have to make do with blogging once in a while. Hmmm. I travelled to Nigeria in March and returned to the UK in August with my family. We were based in Port Harcourt for the four months, with a couple of trips to Lagos. I have to say that it was one very weird and eye-opening experience for many reasons. We are considering moving back sometime in the future, so this was a trip to "test the waters" and see what it would be like. But by the end of the trip, I returned to London with very mixed feelings. Some aspects of the trip were funny. I experienced culture shock, as usual, even though I still went back to visit in 2012. Upon arriving, the simplest things struck me as different. Seeing people carrying lots of cash around to pay for goods. Seeing people immediately count any amount of cash you give to them. Seeing Nigerians everywhere I looked (living in multicultural London, you see such a variety of nationalities). Seeing the huge and very obvious gap between the rich and poor. And so on. But for my three year-old, it was very amusing to watch her adjusting to a very different life from what she knew. For example, the fist time the electricity went off, she came to me and started apologising. She thought I had turned off the TV because I was upset with her. I laughed and laughed and after trying to explain that "sometimes the light goes off in Nigeria", seeing her confused face just made me laugh some more. She saw a cockroach for the first time and asked me, "What animal is this? ", more laughter. We took a walk down the street and saw some muddy gutters and she said "Mummy, look! There are puddles in the road." Oh dear. Now, actually living in Nigeria was unsettling. I think, in the past when I went back for visits, I didn't fully immerse myself in the day-to-day things that people did, so that didn't affect me. Or maybe because I was usually only staying a few weeks, so it was just a case of "I'll be out of here soon" so I tended to overlook a lot of things. But after a while, certain things about Nigerian society become obvious. The police. Where do I start from? The terrible customer service. Again, legendary. The roads, the lack of constant electricity, and the simplest things that I used to take for granted. The government? Who? Sigh. The religious fanaticism that is simple unbelievable. The level of dishonesty. The terrible work ethic. Then, the culture. The culture! At some point, I began to wonder if I had really grown up in Nigeria. Or if I had changed so much, that Nigeria was now a foreign place to me. I actually started doing research, asking people lots of questions, and taking notes so that I could understand my own people again. In fact, I started watching Nollywood films everyday, because I wanted to know (or remember again) what was normal and acceptable in Nigerian society. And what I found was (mostly) not pretty. In fact, a lot of things were downright disturbing. For one, the immense pressure on Nigerian females to suppress themselves and fit into a mould of cultural expectations was quite alarming. I didn't understand it for a long time, why some of the ladies based in Nigeria that I interact with online had some weird ideas about relationships, marriage, sexuality, ambitions, etc. But after returning to Nigeria, I started to understand. Then, realising how much misogyny and patriarchy is so deeply rooted in normal day to day life, made me bristle. I wondered, how do women put up with this? How do they cope? How do they not question these things? Case in point: I was watching a Yoruba Nollywood movie with my niece. One of the characters mentioned a proverb, "Omo to da, ti baba e ni, omo ti o da, ti iya re ni" which translates to "A good child belongs to the father, but a bad child belongs to the mother." Immediately I heard it, I was like "Why? WHY does the father get credit for a good child, and why does the mother get blame for a bad child? Aren't they jointly responsible for the upbringing of their children? Why doesn't the mother get any credit if the child turns out good? Or am I missing something here?" My niece tried to explain the proverb by saying that it means a woman has to do everything she can to make sure her child is not bad. But then, I argue, so what is the father doing? If a child is becoming bad, does he sit and fold his arms? That led to a long argument and discussion, and in the end, I realised that women in Nigeria have a very long way to go. I could rant so much about so many other examples that I came across, but I wonder if it would make any difference. Maybe a little. Anyway I read an article on Sabi News by Joy Bewaji (click here to read) that sums up a lot of what I saw. The article is witty and funny but also very very sad. A year ago, I would have been naive enough to believe that she was exaggerating, but now I know better. Well, the upside of going to Nigeria is that there is plenty of inspiration for crazy flash fiction stories (lol). Stuff that would strike people as unbelievable happen every day in Nigeria. You don't have to look far to see, hear or experience drama. So hopefully, when I need inspiration, I can dig into my Nigerian experience and come up with something. I'm hoping to publish another collection of flash fiction stories before the end of the year. Fingers crossed. In the meantime, I've been busy working on Accomplish Press. We've completely redesigned the website and updated our publishing focus and services for writers. 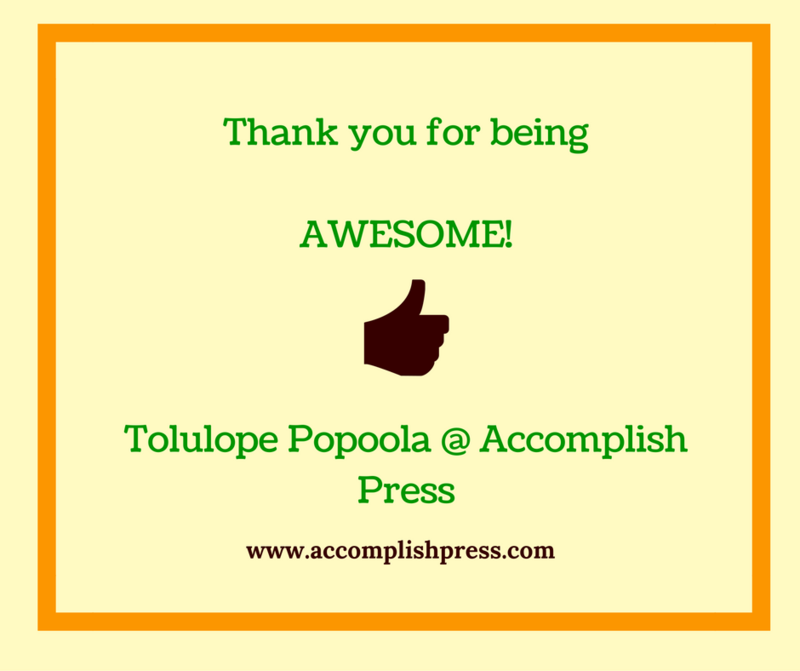 If you're interested in taking your ideas from inside your head to books reaching your audience, then check us out @ Accomplish Press. We can help make your publishing dreams come true. 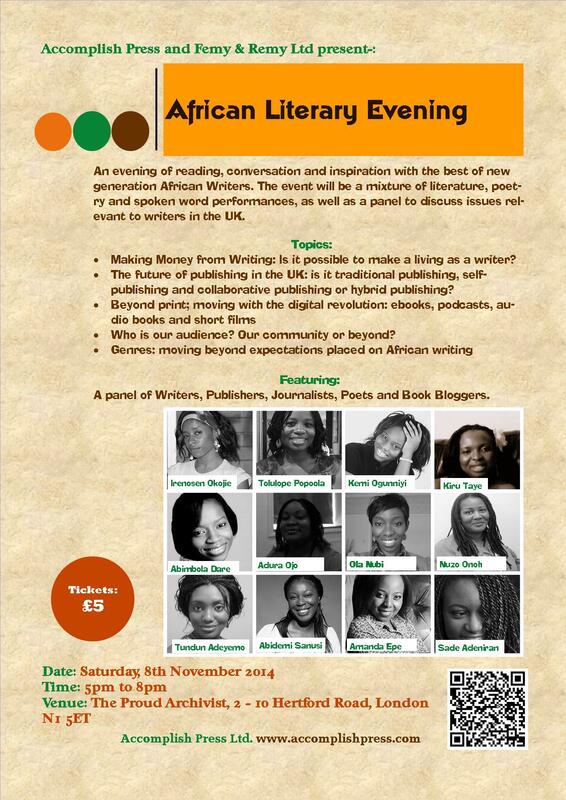 We're also co-hosting an event for writers in London in November, and I'll be sharing more details about that soon. If you're still reading this blog post, thanks for staying with me. I appreciate it and I hope you'll leave a comment. Or two. Or come back again. Cheers and have a great weekend! As always, I hope you enjoy reading! Welcome to my blog! My name is Tolulope Popoola, and I'm a reader, writer and lover of books and literature. I used to be an Accountant, until I rediscovered my love for writing and became a full-time writer in 2008. 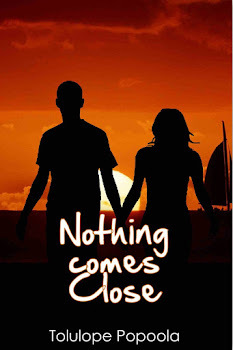 I'm the author of the novel Nothing Comes Close, a contemporary romance story set in London, Milton Keynes and Lagos. The story is based on some of the characters from the In My Dreams It Was Simpler online series. I also write flash fiction (see a collection here), short stories, poems and articles for magazines. In addition, I'm a Writing Coach and Publishing Consultant with my own company Accomplish Press. I help other writers to accomplish their own writing and publishing dreams too.